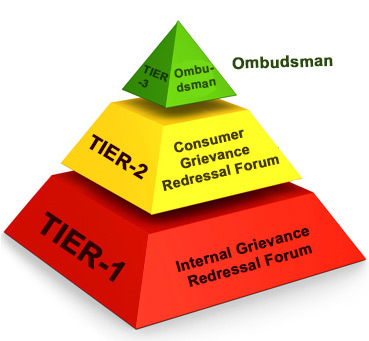 Consumer Grievance Redressal Forum (CGRF): A forum is constituted under the Chairmanship of a retired Judge and two other members wherein the Consumers of electricity can file their complaints for the redressal of their grievances related to deficiency/ error in bill or services or any non- compliance of standards & directions issued by the Uttar Pradesh Electricity Regulatory Commission in this regard. Public Hearing by the Forum: A monthly camp is organized on the 17th of every month (in case, 17th being Saturday/holiday, after holiday) at CGRF, where the employees of NPCL are also present. Electricity Ombudsman: An Appeal can be filled before the Electricity Ombudsman of the State on not being satisfied by the order of the CGRF.